Having a strong elevator pitch can open many doors for your job search. It is an aspect of your personal brand that you can instantly use to build credibility and connection with decision makers. Yet, developing a standout elevator pitch can be showstopper for some job seekers. This is largely because you have to become more succinct in sharing your background, drilling down to the most essential information. In this blog, we will share a five-step process to craft an elevator pitch that helps clarify the result or outcome you deliver and who benefits from that outcome. The intention is to create a compelling outcome statement that follows the format: ‘I help/serve/support _________ (target audience) to ___________ (biggest value you offer), so that ___________ (X result can occur). Once you understand this flow to creating your elevator pitch, you can adopt this pitch structure to suit your personal style. The important thing is that whomever you talk to should walk away with a sense of certainty and clarity around what you do and what you have to offer. Step 1. What kind of demographic do you want to help? Get clear on who you want to help with your skills and strengths. Keep this focused to either the title of your future boss or industry of interest. You can use an ‘I help _______’ statement to complete this portion of the elevator pitch. For instance,fora Data Scientist looking to get in the healthcare industry, it would sound something like this: ‘I help executives’ or ‘I work with financial services companies,’ if you wanted to get specific on what industries you support. Action: Clarify who or what you are supporting. Step 2. What kind of goal do you help your target audience achieve? Action: Write down that one big goal you solve for the above target. Step 3. What additional qualifier do you have for your target audience? Include any additional qualifiers for your target audience so that when you pitch yourself they will know that you are speaking to them. Qualifiers could be industry, age, function, geography or even market cap of companies you want to work with. Action: Write down some additional specifications you can use to get laser-focused on who you help. Step 4. What is their hidden specific goal (pain, opportunity or challenge)? It is important to know the real reason why companies would want to hire candidates like you. What is the real thing that is keeping them up at night and without your help they cannot get this solved? It could be a challenge, a pain point that the company is facing or an opportunity that they want to capitalize on. In other words, put yourself in their shoes and start seeing things from their perspective. In the case of the healthcare executives, perhaps one of the things that’s keeping them up at night is how to save more lives because the approach they have is not working. Action: Identify the true dream or pain point that your future boss really wants to overcome. Step 5. Ask a question that you know the marketplace faces and that you can solve. As you go to networking events, you want to invite curiosity quickly and differentiate your personal brand. One way to do that is to start by asking your contact an unexpected question before you dive into your pitch. It should be a question around a challenge that you know your target audience is facing and that you know you can help solve. Action: Brainstorm a list of potential big questions you could ask. Then choose the one that feels most authentic to you. 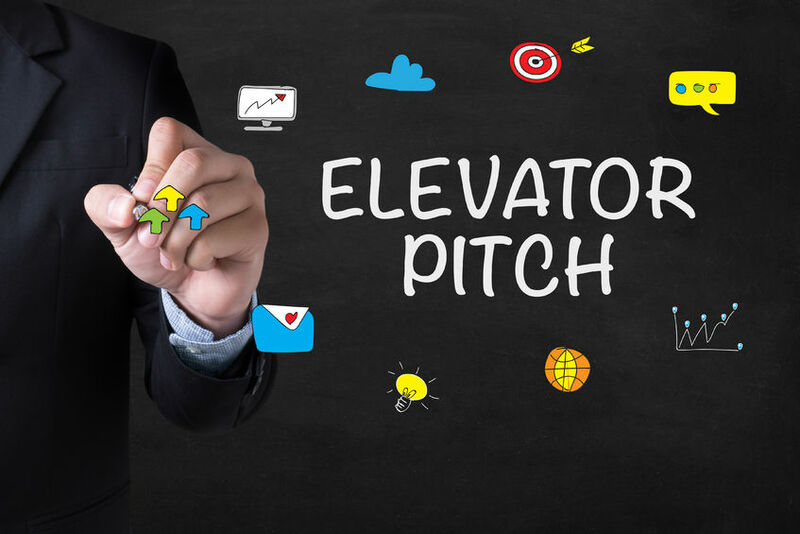 The above steps outline a straightforward approach to crafting your elevator pitch. Once you have the pitch buttoned down to the result or outcome you deliver and who benefits from that outcome, then you can start stacking other elements to your pitch. You can expand to focus on specific skills and any requisite project experience you bring to the table. This lets you explain more on how you do things uniquely by leveraging your personal brand.